Victoria blew my expectations out of the water. Not only did my makeup survive tears and wedding cake, but it looked WAY better than how I normally do my own makeup. I am very picky about the way I look and she was so attentive and listened to what I wanted and knocked it out of the park. Victoria was absolutely wonderful to work with. She was patient and flexible when I decided I didn't like the look I told her I wanted during my trial run. I also had a major acne break out the day of my trail which shock my confidence. She was caring and reassuring and told me if I did a few simple things I'd have flawless skin on my wedding day. I followed her instructions and one the day of my wedding my skin looked better than it had in year! Victoria was right on time, very personable and made each of use feel special. When she was done welding her make brush all of my Bridesmaids looked perfect. I couldn't have asked for a better experience. For any future big events I would be sure to call Victoria. I highly recommend her!! Victoria was great to work with for my wedding. During our pre-wedding consult, she made recommendations on how to make my skin look it’s best for my wedding day. She also ensured that my makeup enhanced the features that I wanted. She did the makeup for myself, the bridesmaids and my mother and everyone’s makeup looked very natural and complemented their features. My mom has very sensitive skin and was pleasantly surprised that the makeup used felt comfortable on her skin and eyes. My makeup lasted through the entire wedding despite the heat and humidity and looked beautiful in pictures. I highly recommend working with Victoria. 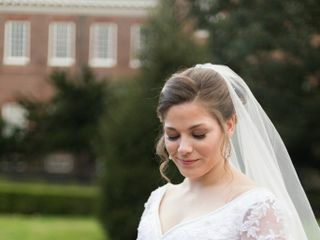 I loved working with Victoria and loved how my makeup, and my bridesmaids’ and moms’ makeup, turned our for the day of. 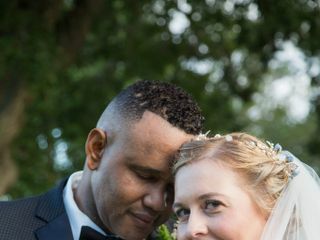 Victoria was very professional and kept in constant communication throughout the planning process and even followed up after to check in on how the wedding went. All of my friends and family loved her as well and guests complimented everyone’s makeup. What I liked most is that I didn’t feel like I looked like a completely different person, which sometimes happens with day-of-wedding makeup. I highly recommend Victoria—you can count on her to have your makeup process be seamless and stressfree on the day of! Victoria was amazing in helping create my perfect wedding make up. I did a trial run, my engagement make up, and my wedding make up with her. She was also very responsive in any questions I had regarding the make up because I have such sensitive skin. She used great products, and I did not break out after any of these sessions (and I ALWAYS break out)!! I had the option of purchasing lip colors and lashes from her which made the process smooth. She also came back to my venue for touch ups before the ceremony! I would recommend her to everyone who prefers a natural look! You will not be disappointed! Victoria was awesome to work with! She was very responsive via phone and email! I do not usually wear a lot of makeup so I was a little nervous going into the trial. She was so friendly and clearly knowledgeable and I absolutely loved what she did! And the wedding came, and we knew exactly what I wanted and I felt so beautiful and the bridesmaids were stunning! She does amazing work, and affordable for a large group! A true professional - knowledgeable and talented! Victoria is absolutely AMAZING!! If I had to choose again, I wouldn't trust my wedding make-up to any other person. 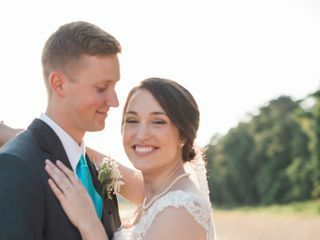 My skin wasn't the best during our consult so she gave me awesome tips to help make my face vibrant and clear for our wedding day - and they worked! 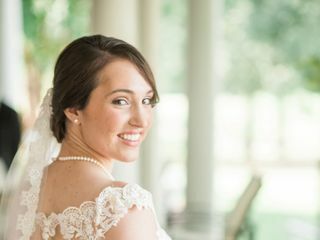 She goes above and beyond to make sure her clients feel beautiful and look flawless on their big day (wedding or otherwise!). She is knowledgeable and a true professional in her field. My bridesmaids and I loved how comfortable she made us feel and how she didn't cake on a bunch of make-up to make us look camera ready. She knew how to enhance our natural beauty and features perfectly. I would recommend her to any family or friend a thousand times over! Victoria is amazing. Very affordable and does a fantastic job -- I am always shiny but my makeup stayed matte all night long! Everyone in the bridal party felt beautiful and we are all girls that don't wear a lot of make-up day to day, so we felt natural but enhanced! I met Victoria at a bridal show before I even had a date or a venue figured out. She had models walking around the show and I remember thinking how natural and flawless their makeup looked. 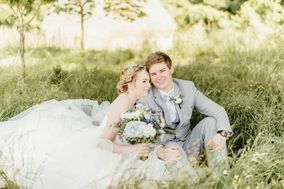 When I contacted her about a year later after all of the details had fallen into place, I was thrilled to hear that she still had my wedding date available! I went to Victoria's house for a trial and when I looked in the mirror, the makeup was perfect!! It was exactly what I was looking for....lightweight, natural, and beautiful. She selected the most perfect tones and shades of foundation, blush, eye shadow and lipstick to compliment my skin color. I felt so at ease and relieved to know that she would be doing everyone's makeup on my wedding day. Victoria was so sweet and easy to work with from beginning to end! Despite rain and heat, I felt like my makeup really lasted the entire day. It was perfect. I highly recommend Victoria! Victoria Ronan is a gem! I'm so happy I found her after some trials before her. She made my makeup look fresh, dewy, soft, pretty and natural. I loved the rose gold shadow she used, the quality of her makeup is top-notch (accentuating your skin), and the eyelashes were pretty and just right. She also makes you feel very comfortable and calm. Her fees are reasonable and she always arrives on time and delivers an exceptional end result. She was also very kind to put makeup on my 8 year old and 12 year old neices/flower girls. Thank you, Victoria! I plan to use you again very soon! I would highly recommend Victoria for anyone looking for flawless makeup for your special event. Our entire Bridal party looked amazing. Her knowledge and selection of colors based on the individual person was far above what I’ve ever seen. She even had extra touch up lipstick to purchase to continue to complete the look for the entire day! Victoria did amazing work...I am so happy I chose her for my wedding!! I need a lot of help iny opinion and she made me look like myself, only better, without a lot of effort!! This, our pictures were awesome!! She is friendly, kind, knowledgable, and professional!! You will be happy too if you choose her!! Victoria was not only amazing in her work but super friendly! I loved having her for my wedding! When it was time to choose a makeup artist for my wedding, I immediately contacted Victoria. 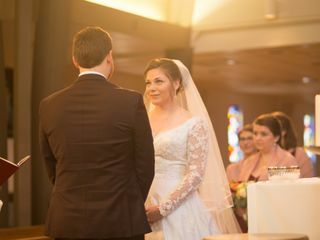 She had done my sister's makeup for her wedding, and it was stunning. From the beginning, she was very kind and easy to work with. The trial was at her house (which is lovely) and she made it as comfortable as possible -- even allowing my family who was visiting to sit in during the process. The day of the wedding, she arrived painfully early at my house to ensure that all 7 bridesmaids, both mothers and I had enough time to get our makeup done. I am so grateful for that! All in all, I would 100% recommend working with Victoria. She's great! Victoria is the absolute best. We planned our wedding in 2 months and she was incredibly flexible, fitting me and my mom in before another wedding without making us feel rushed. She did a wonderful job and gave me tips on how to keep my makeup looking perfect all day (which it did!). I looked and felt AMAZING. Victoria, thank you so much for everything! Victoria was SO amazing to work with. From the consultation, to the wedding day, every minute of working with her was professional and fun! I did a trial the day of our engagement pictures and was so pleased with the results. I showed Victoria a few pictures of what I had in mind and she made suggestions based on how I much makeup I wear on a daily basis, my skin tone, etc. I gave the vague "I want to look like myself, but better!" and she absolutely nailed it. I truly felt like the best version of myself. The wedding day was no different. Victoria arrived early and did the wedding party's makeup with plenty of time to spare but it didn't feel rush at all. I felt so beautiful and my gals looked gorgeous. Oh and the makeup LASTED. We had a late September wedding (hoping for a nice crisp day) and ended up with a day that closer resembled mid-August with heat and humidity. The make-up lasted the whole day and well into the night. I would work with Victoria again in a heartbeat! Victoria did a beautiful job with my bridal parties’ makeup! I usually don’t wear a lot of makeup and wanted a natural look but with alittle glam. Victoria really delivered. I felt absolutely beautiful on my wedding day! Thank you!! As someone who doesn't wear make-up, I was worried about looking overly done at our wedding. Victoria put all my concerns to rest and made me feel like a more put-together version of myself, which was absolutely perfect. In addition to her amazing skills, she was extremely kind and thoughtful. After a bad reaction to one brand, she had me back for a re-trial to make sure everything would be perfect the day of our wedding. Working with her was one of the best decisions of our wedding planning! 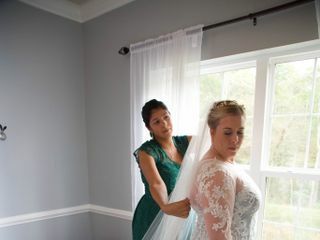 Victoria was amazing to work with from the start and helped everything begin smoothly the morning of my wedding. From the day of my consult at her studio, it was such an easy decision to choose her! I loved how my make up truly did look natural while helping me look my best; I even switched to using the Make Up Forever products she recommended that day and my skin has never been clearer. On the morning of the wedding, she arrived 15 minutes early (I was still setting up one of the probably too many DIY projects I took on in the hall) and she was ready to set up once I made my way back to the suite. All of my bridesmaids and mom looked amazing and it was such a fun morning for everyone in the room with all the music in the background and joking around - Victoria even got to have some fun and laugh with us while doing such a wonderful job. Thank you Victoria! Victoria was wonderful to work with! 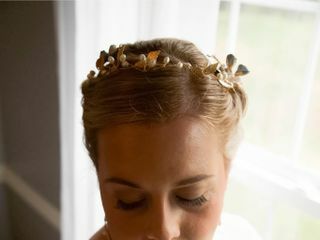 She was very accommodating during the make up trials and provided quality service on the day of my wedding! I'm happy with the way the makeup looked and would recommend her for any event! Makeup trial was at her home, where she made me feel very welcome in a very inviting studio space. She listened to exactly what I wanted for my wedding makeup and was open to any changes I wanted to make. Everything was perfect on the day of the wedding-- she arrived on time and was very professional and had everyone's makeup done in a timely manor. As her name suggests, her makeup is very natural, which was exactly what I wanted. I wouldn't change a single thing about how my makeup was done! !